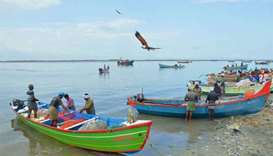 The monsoon, which lasts from June to September, causes widespread death and destruction across South Asia each year. 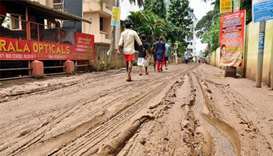 Kerala Chief Secretary Tom Jose said there were an estimated 597,000 people in the temporary relief camps, but the number kept changing. Incessant downpours since August 8 have caused the worst floods in a century in the southwestern state. 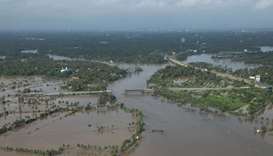 Hundreds of extra troops were deployed in the southern state, as the government issued a "red alert" over the region's worst floods in decades. 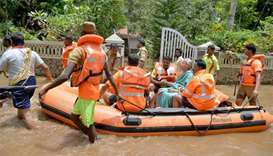 The death toll had climbed to 39 since the heavy rains hit the state on August 8, with the fatalities reported in accidents like drowning and landslides.